BJM - Phillips Murrah P.C. Gavel to Gavel appears in The Journal Record. This column was originally published in The Journal Record on October 5, 2017. Byrona J. Maule is a Director and litigation attorney as well as Co-Chair of the Firm’s Labor & Employment practice group. She represents executives and companies in a wide range of business and litigation matters with a strong emphasis on employment matters. Fall is a time of change. But this fall, the transition from summer isn’t the only change we’re experiencing. This fall has also brought extraordinary action from the Equal Employment Opportunity Commission. Starting in July, the EEOC has filed a flurry of federal lawsuits against both private and public employers. In July 2017, the EEOC filed 20 lawsuits, compared to eight in July 2016, according to EEOC.gov’s announcements. At first, I thought this was some type of anomaly, but it continued into August 2017 with another 20 lawsuits filed, compared to eight last August. In September, they filed a whopping 69 lawsuits, as opposed to 22 in September 2016. To date, the EEOC has filed 241 lawsuits in 2017, compared to 86 in all of 2016. With three months left in 2017, there is no reason to believe the rest of 2017 will trend any differently. Other changes in the EEOC’s activity include an inclination to file suit against an employer in a single plaintiff case, as opposed to lawsuits in which the outcome would have a broad impact on society. The EEOC’s 2012-2016 Strategic Plan emphasized using litigation mechanisms to identify and attack discriminatory policies and other instances of systemic discrimination. This emphasis seems to have waned. Considering the life cycle of an EEOC lawsuit from charge to the EEOC’s decision to file a lawsuit takes multiple years, this sharp spike in the number of merit lawsuits being filed does not indicate that workplace behavior has drastically changed in recent months. Rather, the change appears to be in the decision-making process of the EEOC when deciding if it is going to file a lawsuit and what types of lawsuits the EEOC pursues. In one recent case involving Home Depot, the EEOC filed charges despite the company’s position it had reached agreement with the EEOC on the major terms of a settlement. What does it all mean? It is difficult to know at this point. The real significance for employers is there are significantly more lawsuits being brought by the EEOC in 2017 than at any time between 2012 and 2016. Employers need to be very aware of this, and approach EEOC charges with increased attention. Byrona J. Maule is a partner and co-chair of the labor and employment practice group at Oklahoma City-based law firm Phillips Murrah. The U.S. Department of Labor announced today that they will publish a Request for Information for the overtime rule on Wednesday, July 26. “The RFI is an opportunity for the public to provide information that will aid the department in formulating a proposal to revise these regulations which define and delimit exemptions from the Fair Labor Standards Act’s minimum wage and overtime requirements for certain employees. In the RFI, the USDOL said that gathering public input will greatly aid in the development of a Notice of Proposed Rulemaking and help the department to move forward with rulemaking in a timely manner. The public will have a 60-day public comment period from the date the RFI is published in the Federal Register. For a sneak peak at the questions, which will be published in the Federal Register tomorrow, click here. To view instructions on submitting public comments contained in the RFI document, which you can view here. Comments may also be submitted electronically at http://www.regulations.gov. In a brief filed with the Fifth Circuit of the Federal Court of Appeals, USDOL seeks to preserve salary level in determining overtime exemption status. On Friday, June 30, the United States Department of Labor filed a brief with the Fifth U.S. Circuit Court of Appeals in New Orleans seeking to preserve a minimum salary requirement as a part of a three-part test to determine which workers are exempt from Fair Labor Standards Act (FLSA) minimum wage and overtime pay protections. The brief filed Friday concerns the second part. The brief was filed in the case of Nevada v. DOL , 5th Cir., No. 16-41606 by the State of Oklahoma and 20 other states questioning whether the DOL under President Obama had the authority to set the annual salary threshold at $47,476, just over double the amount previously set in 2004 by the Bush Administration. The Trump Administration brief asks the court to uphold DOL’s legal authority to set the salary threshold, but does not address the appropriate salary level, stating that the court should “simply lift the cloud” created by litigation questioning the Department’s authority to establish any salary level test. “Instead, the department soon will publish a request for information seeking public input on several questions that will aid in the development of a proposal,” the agency stated it its brief. To view the brief, click this link. The U.S. Department of Labor announced today that they will reinstate the issuance of opinion letters, which had been replaced in 2010 by issuance of USDOL general guidance. This action allows the USDOL’s Wage and Hour Division to use opinion letters as one of its methods for providing guidance to covered employers and employees. Opinion letters are official opinions written by the Wage and Hour Division (WHD) of how to apply rules related to the Fair Labor Standards Act and other statutes in specific circumstances presented by an employer, employee or other entity seeking clarity. Opinion letters had been the general practice for seeking clarity since the Fair Labor Standards Act’s inception in 1938. “By using the opinion letters, laws can be interpreted differently without the need of going through the administrative process,” explains Byrona J. Maule, Phillips Murrah Director and Co-Chair of the Firm’s Labor and Employment Practice Group. This comes on the heels of the action taken by USDOL earlier this month, which withdrew two Obama-era guidance letters that sought to clarify worker classifications regarding independent contractors and joint employment. Employers should be vigilant in reviewing the opinion letters issued by the USDOL for trends and reversals of prior legal positions. On Wednesday, June 7, 2017, the U.S. Department of Labor’s Office of Public Affairs announced the withdrawal of recent guidance regarding joint employment and independent contractors. June 7, 2017 [link] WASHINGTON – U.S. Secretary of Labor Alexander Acosta announced the withdrawal of the U.S. Department of Labor’s 2015 and 2016 informal guidance on joint employment and independent contractors. Removal of the administrator interpretations does not change the legal responsibilities of employers under the Fair Labor Standards Act and the Migrant and Seasonal Agricultural Worker Protection Act, as reflected in the department’s long-standing regulations and case law. The department will continue to fully and fairly enforce all laws within its jurisdiction, including the Fair Labor Standards Act and the Migrant and Seasonal Agricultural Worker Protection Act. Employees no longer have FLSA 2015-1 and FLSA 2016-1 to cite before the courts. However, the Administrator’s Interpretations relied upon case law, statutes and regulations that are still good law. Further, how the courts define joint employment and identify misclassified independent contractors has not changed because the common law, statutes and regulations are still in effect. The definition of joint employment may depend on the state and federal Circuit Court where the employer is located. Independent contractor status is also defined by the FLSA, common law, statutes, and regulations as well as state law. Some states may have a different standard for independent contractors and joint employment. Employers should consult with their attorney regarding questions about classifying independent contractors, joint employment and state laws that may vary. Although the removal of the DOL Administrator’s Interpretations is not a change in the law, it may indicate a change in DOL enforcement in these two areas. Stayed tuned for more information or changes from the DOL. Last month, the United States House of Representatives passed H.R. 1180, which states that private sector employees shall be given the option of receiving paid time off, known as compensatory time, in lieu of monetary compensation known as overtime pay. The Act, known as the “Working Families Flexibility Act of 2017,” amends the Fair Labor Standards Act of 1938, which established overtime pay, among other employee rights. The comp time option allows for one and a half hours off for every hour worked beyond 40 hours in a week. In order to be eligible for the compensatory option, an employee must have been employed by the employer for at least one consecutive year, during which time the employee must have worked at least 1,000 hours. Regarding labor unions or other forms of organized labor, compensatory time is provided to members only in accordance with collective bargaining agreements. Employers may not make the compensatory time option a condition for employment. Maximum accrual of compensatory time is limited to 160 hours. Compensatory time that is not used by the employee by the end of the calendar year, or an alternative 12-month period, must be paid in overtime by the employer within 31 days of the end of such 12-month period. If an employee acquires in excess of 80 hours of compensatory time, the employer may provide monetary compensation at any time after giving the employee at least a 30-day notice. Employers who opt to provide compensatory time may discontinue the option after giving employees a 30-day notice. An employee may give notice of withdrawal from any compensatory time agreement at any time, and the employer must provide monetary compensation for unused time within 30 days of receiving notice. An employer providing compensatory time is prohibited from actions that “directly or indirectly intimidate, threaten or coerce any employee” in any attempt to interfere with an employee’s rights to choose or use compensatory time. The employee may use accrued compensatory time within a reasonable amount of time after a request is made as long as it does not unduly disrupt the operations of the employer. Upon termination, any unused compensatory time accrued by the employee will be considered unpaid overtime compensation. H.R. 1180 passed the House vote, 229-197. It now must also pass a Senate vote, which may prove to be an uphill battle, as similar bills have historically died in the Senate. Should the H.R. 1180 pass the Senate, an Employer should immediately revise its leave and overtime policies to implement the option of comp time in lieu of overtime compensation, with special attention given to how the employee will notify the Employer of the employee’s desire to receive the comp time in lieu of overtime compensation, when and how the comp time will be taken, and what would “unduly disrupt the operations” of the Employer’s specific company. Click here to view details of the Working Families Flexibility Act of 2017 on the U.S. House of Representatives website. Are you concerned about your company’s OSHA compliance? Do you have concerns for the safety of your employees? Safety consultants can be expensive, and during a time of tight financial resources, safety can take a back seat to other company priorities. However, in Oklahoma we have a cost-free option – the ODOL Safety Consultation program offered by the Oklahoma Department of Labor. The goal of these inspections is compliance, not to levy fines. The ODOL will assess safety, evaluate the work site, and assist with training and compliance with the OSHA. Most importantly, if a concern is identified by the ODOL safety inspector, he or she will provide your company with suggestions about how to how to improve safety and obtain compliance with OSHA. The company must agree to correct all hazards identified as serious within the established time frame. The consultations are not reported to OSHA. However, if an OSHA inspection should occur, there are requirements about company reporting regarding certain types of testing performed by the ODOL safety inspector. Every company that is concerned with employee safety should consider these free, confidential, safety inspections. Identifying and correcting a problem can prevent workplace injuries and accidents, and can save the company penalties and fines in the future. Disclaimer: Consultations are not a replacement for legal advice. If you have questions or need legal assistance for safety issues, please contact the law firm of Phillips Murrah at (405) 235-4100. The beginning of Spring marks the beginning of Phillips Murrah’s sponsorship campaign for Big Brother Big Sister of Oklahoma’s Bowl for Kids’ Sake event. The Firm kicked off its annual campaign with a Thunder ticket raffle, garnering $1,600 in donations, as the organization’s Taste of OKC event concluded Feb. 4. Phillips Murrah served as a table sponsor for Taste of OKC, one of the marquee fundraising events for BBBSOK, at the Chevy Bricktown Events Center. The night was filled with great food from top restaurants in Oklahoma, a silent and a live auction, and then capped off with dancing to the music of My So Called Band. Over 550 guests attended the event, which exceeded the goals and expectations the organization set, said Byrona J. Maule, Phillips Murrah Director and Member of the Board of Directors for BBBSOK. BBBS is the nation’s largest donor and volunteer supported mentoring network striving to make meaningful, monitored matches between adult volunteers (“Bigs”) and children (“Littles”), ages 6 through 18, in communities across the country. “I’ve been involved with BBBS for over 25 years, and I’ve had four matches that spanned that time,” Maule said. “The time I have spent with my Littles has been the most rewarding and challenging times in my life. For more information on Big Brothers Big Sisters, click here. Phillips Murrah Director Byrona J. Maule gave two presentations in November, one for Cornerstone Credit Union League and the other to the Women’s Mastermind Group, regarding potential changes in labor and employment matters. The presentations covered new wage and hour regulations regarding overtime that were slated to go into effect on December 1, 2016. Maule gave an in-depth look at the regulations, including key components and salary basis changes it would impose as well as steps employers should take to prepare for if it went live. Maule referenced pending lawsuits against the regulations which have since been put on pause by a national injunction by a federal court in Texas. Assistant Marketing Director Nathan Hatcher, Chelsea Linn, Nick Potter, Administrative Assistant Cristal Bazemore, and Legal Secretary Sherree Williams take a break from bowling at Phillips Murrah’s Bowling Night. After months of fundraising, five teams of Phillips Murrah employees, families and friends celebrated the Firm’s community efforts at Big Brothers Big Sisters’ Bowl for Kids’ Sake annual event. Dust Bowl welcomed Phillips Murrah for the Firm’s Bowling Night on April 7, organized by Phillips Murrah and Big Brothers Big Sisters staff. Phillips Murrah Director Byrona Maule spearheaded the campaign, which raised $5,437. The firm hosts a series of events and raffle drawings to garner support for the campaign and raise money to help the organization. To learn more about Big Brothers Big Sisters of Oklahoma or to make a donation, visit their website here. Phillips Murrah family and friends participate in a “celebratory dance-off” for the crowd. Byrona J. Maule is a litigation attorney and co-chair of the Labor and Employment Practice Group. 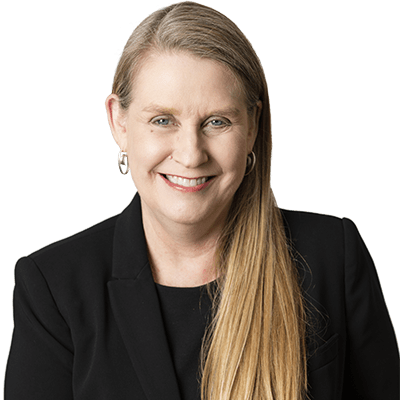 Byrona J. Maule, Phillips Murrah Director and co-chair of the firm’s Labor and Employment Practice Group, will be attending the 2015 Big Brothers Big Sisters National Conference as Oklahoma’s State Governing Board Chair. The conference will be held in Philadelphia, PA on June 2-3, 2015. Byrona was elected to the state of Oklahoma governing board in 2012. Most recently in 2013, she was elected chair of the Governing Board. Along with her husband, Marvin Meyer, she won the Big Couple Match for their current match with little brother Quintin. The 2015 Big Brothers Big Sisters National Conference will provide opportunities for attendees to engage in peer designed workshops and events that will reignite the purpose and put renewed energy around all aspects of mission attainment. This two-day conference will be packed with dynamic keynote speakers, insightful panel discussions and plenty of opportunities for learning and networking. Big Brothers Big Sisters’ mission is to provide children facing adversity with strong and enduring, professionally supported one-to-one relationships that change their lives for the better, forever. contact David Rhea at 405-606-4746 or jdrhea@phillipsmurrah.com. Five teams of Phillips Murrah employees, families and friends showed off their bowling talents to celebrate the firm’s fundraising efforts toward Big Brothers Big Sisters’ Bowl for Kids’ Sake annual event. 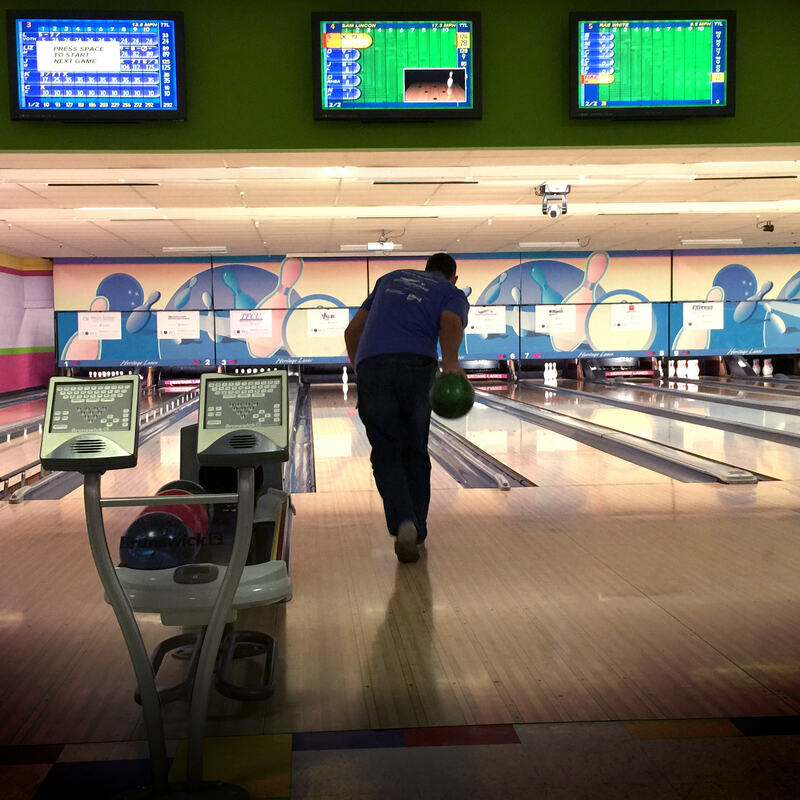 Heritage Lanes welcomed Phillips Murrah for the firm’s night of bowling on May 14, made possible by donations from firm employees and members of Big Brothers Big Sisters. Phillips Murrah Director Byrona Maule spearheaded the campaign, raising $3,700. The firm hosts a series of events and raffle drawings to garner support for the BBBS campaign. [10/29/2013] Big Brothers Big Sisters of Oklahoma (BBBSOK) announces that Phillips Murrah attorney and shareholder, Byrona Maule, has been named chair of the organization’s board of directors. Maule, a dedicated volunteer with BBBSOK, has served as a Big Sister, and held leadership roles within the organization for more than 20 years. She was elected to chair the organization’s governing board for her dedication to serving the organization’s mission, and her proven leadership and business experience. Maule first became involved, as a Big Sister, with the St. Louis, MO chapter of Big Brothers Big Sisters, in 1989, where she also served on the organization’s board of directors from 1990 to 1992. After relocating to Oklahoma in 1994, she rejoined Big Brothers Big Sisters of Oklahoma, and has since remained involved as a Big Sister and as a resource on various boards and committees. Maule’s leadership and expertise will impact the organization by ensuring that financial and strategic goals are met and promising life-changing outcomes are provided for the more than 1,700 children served each year. She will focus on raising awareness, gaining increased financial support and recruiting strong and effective mentors. Does your company have an employment-at-will policy? Does it provide that it can only be amended in writing, by the president or some other designated officer of the company? Tell that to the National Labor Relations Board. UCO is committed to providing a safe, healthy environment for our faculty, staff and students. This commitment includes providing specific training for the campus in areas that affect us all. Faculty Training from 2–4 p.m. Tuesday, Oct. 30, in Constitution Hall, NUC. Everyone in the UCO community is fully engaged. We all have multiple projects, duties, students, research and university service in the typical day. However, we owe it to UCO and to ourselves to know as much as we can about how to protect ourselves and our university from situations that can have devastating consequences. For this reason, I am asking all of the members of the cabinet to actively encourage all of their employees to attend the appropriate training. I will be in attendance as well. On June 28, the Supreme Court issued its ruling on the constitutionality of President Obama’s Patient Protection and Affordable Care Act. OKLAHOMA CITY — Twelve years after Oklahoma voters endorsed right-to-work legislation, labor unions remain active but smaller in the Sooner State. But life could get more difficult. Nearly every employer conducts some form of pre-employment screening on job applicants, including criminal background checks, a practice now under heavy government fire for possible disparate effect on minorities. [ August 4, 2011 – OKLAHOMA CITY ] Byrona Maule’s first match in the Big Brothers Big Sisters program still fills her with memories and tears. Big Brothers Big Sisters of Oklahoma recently honored four metro-area residents with annual awards. [ DECEMBER 10, 2010 – OKLAHOMA CITY, OK ] – Female executives said they continue to fight the same sexism in their companies that they fought on the way up the corporate ladder, because they refuse to turn into bullies or so-called queen bees themselves. [ NOVEMBER 30, 2010 – OKLAHOMA CITY ] – The office holiday party last night was a blast, but now you’re looking at calling in sick or coming to work with a hangover. Either way, productivity suffers in lost hours or mistakes, according to federal and Oklahoma offices of personnel management. Numerous studies have examined the workplace costs of alcoholism, which range from $33 billion to $68 billion per year nationwide. [ OCTOBER 14, 2010 – OKLAHOMA CITY, OK ] – Last year I was in Washington, D.C., for an American Bar Association labor and employment law seminar, during which the 75th anniversary of the National Labor Relations Act was celebrated. Many attendees lamented the declining influence of the National Labor Relations Board; some outright opined that it was becoming less relevant in today’s work force. But, to quote Paul Harvey, “Now for the rest of the story…” Over the next days the story slowly unfolded. The offending snippet misrepresented Ms. Sherrod’s speech; it turns out, she was actually speaking about an event in 1986 that helped her see that it wasn’t a black and white issue. The release of the full unedited video clip resulted in an apology from the Secretary of the USDA and an offer for a different position with the USDA. My point: terminating an employee in haste, prior to conducting a full investigation, frequently leads to the wrong – and oftentimes costly – decision for employers. How do you avoid terminating in haste? Don’t fire an employee on the spot. Take the time to document the complaint or the reported behavior. Interview all witnesses, including the involved supervisors and coworkers. Also, review relevant paperwork, such as employee performance evaluations and employee files. Interview the employee in question. Remember there are always at least two sides to every story. Don’t do the interview of the employee and the termination at the same time. The bottom line: if you go into the interview with the decision to terminate the employee, then the interview becomes a formality and is no longer an interview to determine what happened. Keep an open mind. Try not to make your decision regarding termination until you have interviewed everyone involved. Don’t be afraid to use the company’s full range of options while performing the investigation. For instance, send the employee home on suspension, either paid or unpaid, while conducting the investigation. Communicate with the employee throughout the process. If you perform the investigation and find out that the employee was not committing a violation, you want to have a good working relationship going forward. This can only happen if the company and employee communicate openly throughout the process and if the process is fair. Once the process is complete and you are ready to take action, communicate the decision to the employee, including giving the employee the real reason for being terminated, if that is what you decide. Terminating an employee without telling the employee why only allows the employee’s imagination to run wild and can create scenarios of unlawful reasons for the company’s legitimate decision. If an employer takes the time to go through these steps, it shouldn’t be in a position later where the employer has to retract its decision and waste its time, effort and resources defending a decision that it wouldn’t – and shouldn’t – have made in the first place. [ JUNE 2010 – OKLAHOMA CITY, OK ] – Your company has an up-to-date employee handbook. It has an Equal Opportunity Employer Policy, an Anti-Discrimination Policy, and an Anti-Harassment Policy. Each policy clearly outlines how and to whom violations should be reported and specifically states that no employee will be retaliated against for reporting or participating in a discrimination or harassment investigation. You feel bullet proof. But are you?